Dr. Annmarie Adams is an architectural historian and William C. Macdonald Professor at the School of Architecture, McGill University. She is the author of Architecture in the Family Way: Doctors, Houses, and Women, 1870-1900 (McGill-Queens University Press, 1996), Medicine by Design: The Architect and the Modern Hospital, 1893-1943 (University of Minnesota Press, 2008) and co-author of Designing Women: Gender and the Architectural Profession (University of Toronto Press, 2000). Her research on healthcare design and gendered space has garnered numerous awards, including the Jason Hannah Medal from the Royal Society of Canada, a CIHR Health Career Award, and a YWCA Woman of Distinction prize. 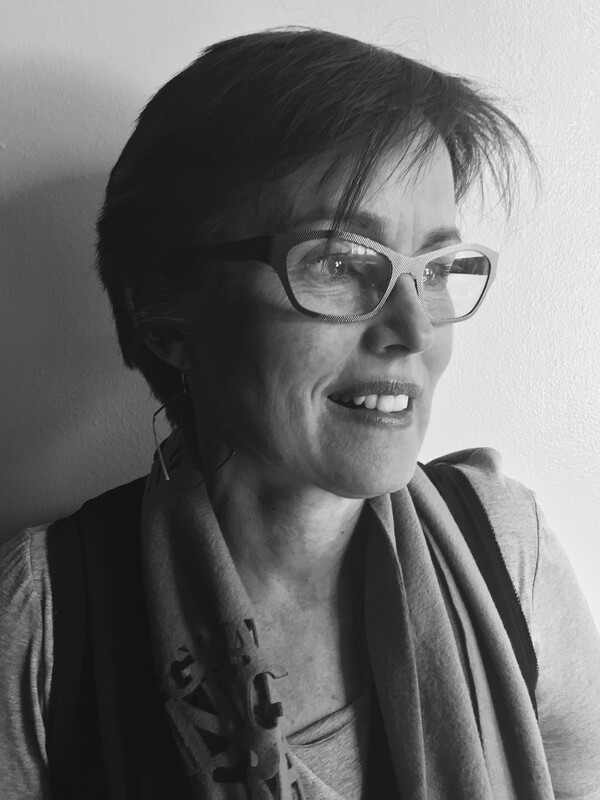 At McGill University, Adams served as Director of the School of Architecture from 2011-15 and as Director of the Institute for Gender, Sexuality, and Feminist Studies in 2010-11. From 2012-15 she chaired the Canadian Council of University Schools of Architecture, a committee of the heads of accredited architecture schools in Canada. In 2015, she was elected as a Fellow of the Royal Architectural Institute of Canada. Her current research explores the architecture of surgery; the design of long-term care institutions; the architectural history of medical museums, complementing her ongoing interest in the history of hospitals. Howard Bergman MD, FCFP, FRCPC is Chair of the Department of Family Medicine, Professor of Family Medicine, Medicine (geriatrics), and Oncology. He was the first Dr. Joseph Kaufmann Professor of Geriatric Medicine from 2001-2015. From 2009 to 2011, Dr. Bergman served as Vice-President, Scientific Affairs of the Fonds de la recherche en Santé du Québec (FRSQ), Quebec’s health research funding agency. From 1993-2009, he was Director of the Division of Geriatric Medicine at McGill University and of the Jewish General Hospital. In 2001-2002, he was interim Physician-in-Chief and Chief of the Department of Medicine of the Jewish General Hospital. He is an investigator at Solidage: the McGill University/Université de Montréal Research Group on Frailty and Aging as well as at the Bloomfield Centre for Research on Aging at the Lady Davis Institute, Jewish General Hospital. He is Adjunct Professor in the Université de Montréal School of Public Health, Invited Professor, Institute for Social and Preventive Medicine at the Université de Lausanne in Switzerland (until 2012). He is also adjunct full Professor in the Faculty of Health Sciences, Ben Gurion University of the Negev, Beer-Sheva, Israel where he was appointed to the International Academic Review Committee. Dr. Bergman is a fellow of the College of Family Physicians of Canada and of the Royal College of Physicians and Surgeons of Canada. He is a Fellow of the Canadian Academy of Health Sciences (CAHS). He is a past President of the Canadian Geriatrics Society which awarded him the Ronald Cape Distinguished Service Award, a past Scientific Director of the FRSQ Quebec Network for Research in Aging, a Past President of the Consortium of Canadian Centers for Clinical Cognitive Research (C5R) and a past Chair of the Advisory Board of the Institute of Ageing of the Canadian Institutes of Health Research (CIHR). He is a fellow of the American Geriatrics Society. He is internationally recognized for his research on integrated care, frailty and chronic disease with over 170 publications as well as numerous reports and book chapters. The main thrust of Dr. Bergman’s work in health services research and policy has been on aging, chronic disease and frailty and on the promotion of primary care in general and primary medical care in particular. In 2000-2001, Dr. Bergman was a member of the “Clair Commission”, an independent Commission set up by the Quebec government to propose reforms to the health care system. His work in that Commission was instrumental in the recommendation on primary care reform. He is recognized as the «author» of the recommendation on the creation of Family Medicine Groups (GMF). In 2009, at the request of the Quebec ministry of health, he tabled Quebec Alzheimer Plan. Now working with the Ministry of Health in the implementation of the plan, Dr. Bergman with Professor Isabelle Vedel has also set up The Canadian Team for healthcare services/system improvement in dementia care, a multidisciplinary team involving stakeholders dedicated to the evaluation and implementation of initiatives to improve the capacity of primary care to diagnose and treat older persons with Alzheimer’s disease, and their caregivers. In 2010, Dr. Bergman also chaired the Initiative for the Development of a Personalized Health Care Strategy for Quebec, bringing together university researchers, industry, health system managers, and government which led to an initial Quebec government commitment of $10 million to be matched by industry. Dr. Bergman is a member of the Board of Directors of the Quebec Institut national d'excellence en santé et en services sociaux (INESSS-the equivalent of NICE in England. He is co-Chair of the National Guidance and Implementation Committee of the pan-Canadian public health program on family violence. Until recently, a member of the Board of Directors of the Institute for Research on Public Policy (IRPP). In 2102, he advised the Ontario Ministry of Health in setting up Health System Research Fund Research competition (a $65 million Program) and chaired the inaugural scientific review panel. He advised and chaired the review panel for the Ontario SPOR $11 million competition. He serves as consultant to Regional Health Boards and ministries of health in Canada and other countries as well as to industry. Lisa Bornstein is a Professor of the School of Urban Planning at McGill University. Her published research focuses on the politics of planning, with work on collaborative planning, public participation, institutional reform and public deliberations around large-scale urban projects, international development programs, and policy reform. Prior to joining McGill, she spent 7 years teaching at the University of Natal, Durban (South Africa). She directed the SSHRC-funded Community-Universities Research Alliance, Making Megaprojects Work for Communities, between 2006 and 2014. Franco Carnevale, RN, PhD is a nurse, psychologist and clinical ethicist. He completed his undergraduate nursing degree, and master's degrees in nursing, education, and bioethics, and a doctorate in counseling psychology at McGill University, as well a master’s degree in philosophy at Université de Sherbrooke and a second doctorate in moral philosophy at Université Laval. He has also completed graduate studies in health law, anthropology, and cultural psychiatry. Dr Carnevale's primary research interests include a wide range of concerns in pediatric ethics. He is the principal investigator for VOICE (Views On Interdisciplinary Childhood Ethics); a McGill-based international initiative to advance knowledge and practices relating to ethical concerns in childhood. His current academic appointments include (all at McGill University): Full Professor, School of Nursing; Associate Member, Faculty of Medicine (Pediatrics); Adjunct Professor, Counselling Psychology; Affiliate Member, Biomedical Ethics Unit. His clinical appointments include: Co-Chair of the Pediatric Ethics Committee, Nursing Consultant, and Associate Member of Pediatric Critical Care, all at the Montreal Children's Hospital-McGill University Health Centre; as well as Clinical Ethics Consultant at Le Phare, Enfants et Familles (pediatric hospice and respite care). 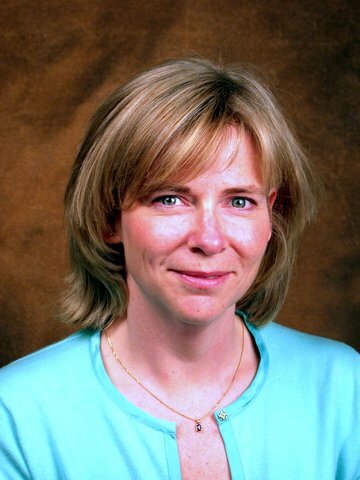 Shelley Clark is a demographer whose research focuses on gender, health, and life course transitions in sub-Saharan Africa. After receiving her Ph.D. from Princeton University in 1999, Dr. Clark served as program associate at the Population Council in New York (1999 to 2002) and as an Assistant Professor at the Harris School of Public Policy at the University of Chicago (2002 to 2006). In the summer of 2006, she joined the Department of Sociology at McGill as an Associate Professor. Prof. Clark is the founding Director of the Centre on Population Dynamics and also directs the CFI-funded Life History, Health, and HIV/AIDS data laboratory. Much of her research examines how adolescents in sub-Saharan Africa make key transitions to adulthood in the midst of an on-going HIV/AIDS epidemic. In particular, her work has focused on how the transition into marriage shapes the risks of HIV/AIDS among young women in sub-Saharan Africa. She finds that for adolescent girls in many African countries, marriage does not provide a safe haven, showing instead that married adolescent girls are acutely vulnerable with respect to HIV. Additional research demonstrates how the process of searching for and finding a suitable spouse places both adolescent boys and girls at considerable risk. Through her current collaborative project with colleagues in Kenya, Burkina Faso, and South Africa, she is exploring the implications of single motherhood on women’s poverty and children’s health over the life course. Her findings have been published in over 20 articles in leading journals, such as Demography, Social Forces, and Journal of Marriage and Family, and presented to policy makers at influential international organizations, including the World Bank, WHO, UNFPA/UNICEF, and the Population Council. Ian Gold is Associate Professor of Philosophy & Psychiatry at McGill University in Montreal. He completed a Ph.D. in Philosophy at Princeton University and did postdoctoral training at the Australian National University in Canberra. From 2000 to 2006 he was on the faculty of the School of Philosophy & Bioethics at Monash University in Melbourne and came to McGill in 2006. His research focuses on the study of delusions, social neuroscience, and on reductionism in psychiatry and neuroscience. He is the author of research articles in the such journals as Behavioral and Brain Sciences, Mind and Language, Consciousness and Cognition, The Canadian Journal of Psychiatry, World Psychiatry, Transcultural Psychiatry, Philosophy, Psychiatry, & Psychology, and Cognitive Neuropsychiatry. Suspicious Minds (Free Press), a book on the theory of delusions co-written with his brother Joel, appeared in July. Dr. Harper is an associate professor in the Department of Epidemiology, Biostatistics & Occupational Health at McGill University. He is also a member of the McGill University Centre on Population Dynamics and the Montreal Health Equity Research Consortium. His research focuses on understanding population health and its social distribution, with specific interests in measuring health inequalities, global health, demography, cancer epidemiology, causal inference, and ethical issues in public health. Matthew Hunt is an Assistant Professor at the School of Physical and Occupational Therapy and a researcher at the Centre for Interdisciplinary Research in Rehabilitation. He also chairs the clinical ethics committee of the Shriners Hospital for Children. Dr. Hunt trained as a physiotherapist, and subsequently completed a Master’s degree in bioethics and PhD in Experimental Medicine at McGill. He then undertook post-doctoral fellowships at the Centre for Research on Ethics of the University of Montreal (CREUM) and the Department of Clinical Epidemiology and Biostatistics at McMaster University before returning to McGill in 2011. Dr. Hunt conducts research related to ethics of global health practices and research, and on equity of rehabilitation services. Current research projects include inquiries into the ethics of research and innovation in disaster relief, wait list management and equity of access to physiotherapy in Canada, and ethics of humanitarian health policy and practice. He also leads a capacity building project focused on rehabilitation providers in Haiti. Jay S. Kaufman holds a doctorate in epidemiologic science from the University of Michigan (1995). After a post-doctoral position at Loyola Stritch School of Medicine (Chicago, IL) from 1995-1997, he was Medical Epidemiologist at Carolinas Medical Center (Charlotte, NC) from 1997 to 1999. From 1999 through 2008 he held positions as Assistant and Associate Professor at the University of North Carolina School of Public Health at Chapel Hill before leaving for his current position as Professor and Canada Research Chair in Health Disparities in the Department of Epidemiology, Biostatistics and Occupational Health at McGill University (Montreal, QC). He is also currently appointed as Visiting Professor in the School of Public Health at the University of Chile, Visiting Associate Professor in the Department of Epidemiology, University of Michigan School of Public Health (Ann Arbor, MI), and Adjunct Professor in the Department of Epidemiology, University of North Carolina (Chapel Hill, NC). Dr. Kaufman's work focuses on social epidemiology, analytic methodology, causal inference and on a variety of health outcomes including reproductive, cardiovascular, psychiatric and infectious diseases. He is an editor at the journal “Epidemiology” and an associate editor at “American Journal of Epidemiology”. With J. Michael Oakes he is the co-editor of the textbook “Methods in Social Epidemiology”. Dr. Kaufman has taught epidemiologic methods in doctoral level courses at UNC and McGill, and in international short-courses in Germany, France, and Chile. He has over 200 publications in peer-reviewed journals. Nick King is is an associate professor at McGill University. He studies public health policy, ethics, and epistemology. He also co-directs the Montreal Health Equity Research Consortium and directs the Measurement, Ethics, and Decision-Making Collaborative. Scientific information is often thought to be objective, and scientific communication often aims to ‘let the data speak.’ Dr. King uses a variety of methods, including conceptual analysis, quantitative reviews, and controlled experiments, to demonstrate that data are always ‘spoken for,’ in the sense that human beings influence and are influenced by how data are produced, aggregated, and communicated. His ultimate goal is to help individuals become more sophisticated producers and consumers of health information. Laurence J. Kirmayer, MD, FRCPC, FCAHS is James McGill Professor and Director, Division of Social and Transcultural Psychiatry, Department of Psychiatry, McGill University. 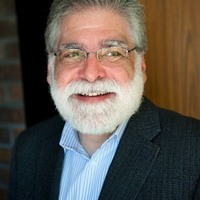 He is Editor-in-Chief of Transcultural Psychiatry, and Director of the Culture & Mental Health Research Unit at the Institute of Community and Family Psychiatry, Jewish General Hospital in Montreal, where he conducts research on cultural responsive mental health services for immigrants and refugees, the mental health of Indigenous peoples, and the anthropology of psychiatry. He founded and directs the annual Summer Program and Advanced Study Institute in Cultural Psychiatry at McGill. He also founded and directs the Network for Aboriginal Mental Health Research. His past research includes studies on cultural consultation, pathways and barriers to mental health care for immigrants and refugees, somatization in primary care, cultural concepts of mental health and illness in Inuit communities, risk and protective factors for suicide among Inuit youth, and resilience among Indigenous peoples. Current projects include: mental health promotion for Indigenous youth; the integration of ethnography and neuroscience in global mental health; and models of mental health services for multicultural societies. His co-edited the volumes: Understanding Trauma: Integrating Biological, Clinical, and Cultural Perspectives (Cambridge University Press), and Healing Traditions: The Mental Health of Aboriginal Peoples in Canada (University of British Columbia Press); Cultural Consultation: Encountering the Other in Mental Health Care (Springer); the DSM-5 Handbook for the Cultural Formulation Interview (APPI): and Re-Visioning Psychiatry: Cultural Phenomenology, Critical Neuroscience and Global Mental Health (Cambridge) . He is a Fellow of the Canadian Academy of Health Sciences. Raphael Lencucha is an Assistant Professor in the School of Physical and Occupational Therapy at McGill University. His overarching research program focuses on health governance in complex policy environments. His research on health governance is conducted in two main domains: 1) tobacco and food policy and 2) mental health policy. His research has received funding from the National Institutes of Health, the Canadian Institutes of Health Research, the American Cancer Society and the Bloomberg Initiative to Reduce Tobacco Use. His research projects have been conducted in Brazil, the Philippines, Zambia, Kenya, Malawi and Canada. Dr. Lencucha received a PhD in Health Promotion at Western University and completed a postdoctoral fellowship at the Institute of Population Health at the University of Ottawa. Eric Lewis is an Associate Professor of Philosophy at McGill. His present research focuses on the philosophy of improvised music. He is the McGill site coordinator for ICASP (Improvisation, Community and Social Research), a major international research project with primary funding from the SSHRC MCRI program. He is presently completing two book projects, the first on the ontology of improvised music, the second an edited collection on Improvisation and Social Aesthetics. He is also actively involved in the creation and curation of improvised art exhibits, and an active improvising musician. Broader research interests include the philosophy of music more generally, aesthetics, philosophy of copyright, and a host of interdisciplinary approaches to art, culture and society. Nik Luka is an Associate Professor cross-appointed to McGill University’s Schools of Architecture and Urban Planning, as well as the Vice-President of the Board of Directors of the Montréal Urban Ecology Centre. 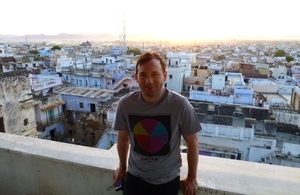 He specialises in transdisciplinary approaches to understanding urban form and cultural landscapes with a particular interest in the everyday interfaces of nature and culture as experienced by individuals. Trained as an architect and planner, with a Ph.D. in urban and cultural geography, Luka works extensively on community-based design processes—including adaptive strategies for making infrastructure fit well into local contexts—as well as housing, residential mobility, and the dynamics of periurban spaces. At McGill University, he is also affiliated with the School of Environment, the Institute for Health and Social Policy, the Trottier Institute for Sustainability in Engineering and Design, and the Centre for Interdisciplinary Research on Montréal. Philip Oxhorn is a Professor of Political Science at McGill University and the Founding Director of McGill’s Institute for the Study of International Development, as well as the Editor-in-Chief of the international journal Latin American Research Review. A former Associate Dean (Graduate and Postdoctoral Studies) at McGill, his research focuses on the comparative study of civil society and its role in supporting democratic regimes, particularly in Latin America. Professor Oxhorn’s publications include Sustaining Civil Society: Economic Change, Democracy and the Social Construction of Citizenship in Latin America (Penn State University Press, 2011) and Organizing Civil Society: The Popular Sectors and the Struggle for Democracy in Chile (Penn State University Press, 1995), as well as numerous articles and four co-edited volumes: What Kind of Democracy? What Kind of Market? Latin America in the Age of Neoliberlism (with Graciela Ducatenzeiler, Penn State University Press, 1998), The Market and Democracy In Latin America: Convergence or Divergence? (with Pamela Starr, Lynne Rienner Publishers, 1999), Decentralization, Civil Society, and Democratic Governance: Comparative Perspectives from Latin America, Africa, and Asia (with Joseph Tulchin and Andrew Selee Woodrow Wilson Center Press/the Johns Hopkins University Press, 2004), and Beyond Neoliberalism? Patterns, Responses, and New Directions in Latin America and the Caribbean (with Kenneth Roberts and John Burdick, Palgrave Macmillan, 2009). Professor Oxhorn has lectured extensively in North and South America, Africa,Western Europe, Asia and Australia. He has also worked as a consultant to the Inter-American Development Bank, the United Nations Development Program, the United Nations Population Fund, the Canadian International Development Agency (CIDA), the International Development Research Centre (IDRC), the Department of Foreign Affairs and International Trade, Canada, Department for Aboriginal Affairs and Northern Development, Canada, the Ford Foundation, The Carter Center, the Woodrow Wilson Center for International Scholars, and the Mining Association of Canada. He has a PhD in Political Science from Harvard University. 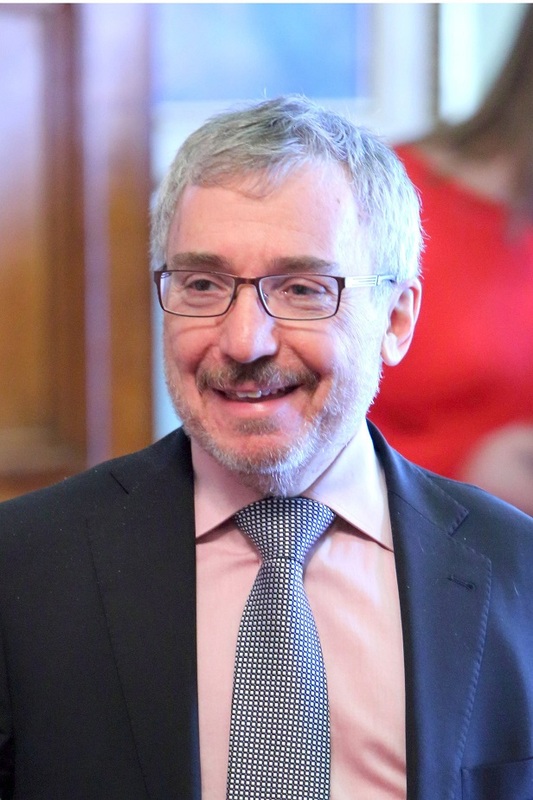 Gilles Paradis, full professor and current Chair of the University’s Department of Epidemiology, Biostatistics and Occupational Health, Strathcona Chair in Epidemiology at McGill, joins the Institute for Health and Social Policy as an Associate Member. Dr. Paradis also holds numerous high-level positions within the provincial health sphere, including Founding Scientific Director and now Governing Board Member of the Quebec Population Health Research Network, the Director of the Quebec Public and Population Health Research Training Program (4P), Consulting Physician to the Department of Public Health an Preventive Medicine at the CHUM, Member of the Outcomes Research Axis at the Research Institute of the McGill University Health Center, and Medical Consultant to the Public Health Institute of Quebec (INSPQ). Dr. Paradis completed his MD at Université de Montreal and a specialty in community medicine and an MSc in epidemiology at McGill University. After a fellowship at Stanford University he returned to Montreal and focused his research on community-based prevention and risk factor analysis for cardiovascular disease, especially in low-income and aboriginal communities, and among children and adolescents. He is also involved in studies of obesity in children and the development of nicotine addiction in novice smokers. Dr. Paradis also held a CIHR Chair in Applied Public Health Research (2008-2013). 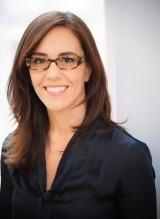 Dr. Quesnel-Vallée is a medical sociologist and a social demographer with postdoctoral training in social epidemiology. Her research examines the contribution of social policies to the development of social inequalities in health over the lifecourse. With funding from the Canada Foundation for Innovation and the Canadian Institutes for Health Research, she currently studies the impact of public coverage and private health insurance regulation on general and mental health in select OECD countries. Dr. Ross' major research focus is the social determinants of health with an emphasis on the relationships between physical and social environments and chronic disease. In almost every society throughout the world, health is graded by social position. The poor have worse health than the middle who, in turn, fair less well than the wealthy. Her research is focused on how this social gradient is produced and re-produced and how we might alter physical and social environmental conditions to reduce health inequalities. Dr. Shikako-Thomas is an Assistant Professor in the Occupational Therapy program. Her research focuses on the promotion of healthy living and participation for children with disabilities. Her research program will adopt a participatory methodology to engage different stakeholders, including policymakers, children and their families, in finding solutions to change the environment, inform policymaking and promote participation of children with disabilities in different life roles and activities. She obtained her PhD in Rehabilitation Science at McGill University and and her BSc in Occupational Therapy at at University of Sao Paulo, Brazil. She pursued post-doctoral training in Knowledge Translation in policymaking for children with disabilities at McMaster University and in Knowledge Translation in policymaking in Environmental Design and Accessibility at Université de Montréal. Erin Strumpf is a health economist and health services researcher whose research interests include how characteristics of health care and health financing systems affect access to health care, quality of care, health care costs and health outcomes, particularly for vulnerable subpopulations. She holds a joint appointment in the Departments of Economics and Epidemiology, Biostatistics and Occupational Health at McGill University. She received her Ph.D. in Health Policy and Economics from Harvard University and her B.A. from Smith College. Dr. Strumpf was a pre-doctoral fellow in Health and Aging with the National Bureau for Economic Research and the U.S. National Institute on Aging. Dr. Yang's research focuses on prenatal and early life exposures and child growth and development; social disparities in pregnancy outcomes; life-course epidemiology, and social determinants of health.